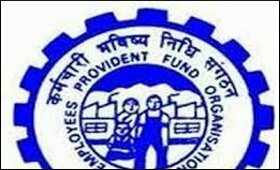 In order to promote employment in country, Employees' Provident Fund Organization (EPFO) has announced that the Centre will bear the entire burden of 8.33 percent employer's PF contribution for first three years to all employees that undertook employment, beginning 1st April 2016 with their respective employers with monthly wages not exceeding Rs.15,000. A disclosure to this effect was made by Central Provident Fund Commissioner, Dr. V P Joy at a Seminar on Pradhan Mantri Rojgar Protsahan Yojana (PMRPY) and Housing for All Employees under the Employees Provident Fund Scheme organized by the PHD Chamber of Commerce and Industry on Friday, emphasising that this facility is being extended to employers for maximising employment across all sectors of Indian economy. According to Dr. Joy, employees would have to form a sort of a society with minimum strength of ten personnel and accordingly inform the EPFO that they are opting for a housing scheme and the EPFO would accordingly settle their monthly EMIs from their PF accounts to the respective society. He, however, clarified that the employees contribution to their Provident Fund each month would stay put at a ceiling of 12 percent as currently in vogue according to the rules book. The basic objective of this scheme is to make sure that humble employees with bear monthly minimum wages not exceeding Rs.15,000 is able to possess a dwelling unit at a location of his choice and irrespective of any particular size, he said. The Seminar was presided over by the President, PHD Chamber, Gopal Jiwarajka who welcomed announcement of the scheme saying that it would best serve the intended objectives of the government. More over, it would reduce the debt burden of small and medium enterprises (SMEs). Chairman, IR & HR Committee, PHD Chamber, Ravi Wig who moderated the Seminar asked the government to make land free for such housing schemes as aim at sheltering the poorest of the poor. Among others who spoke on the occasion comprised Regional Provident Fund Commissioner, J P Chauhan; Vek Khurana, Global Civil Projects Pvt. Ltd. and R K Joshi, Head, IR & HR Committee of the Chamber. is ellegible govt Cotractual staff gratuty?